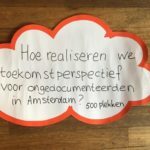 The issue of undocumented people in Amsterdam has been a tricky one for years. The municipal government has now indicated to want to realise better shelter and care. 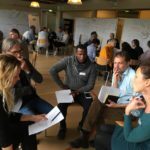 Perspectivity was asked to facilitate work sessions with the involved parties to come up with a plan, as commissioned by the municipality of Amsterdam. That plan is there now. We organised three work sessions in November 2018 with the involved stakeholders. This was a group of about 60 participants, who are used to defend and attack standpoints through the media, and could now enter into conversations with each other face to face. 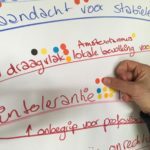 Participants were supporters of undocumented people, health care workers, civil servants from the municipality, immigration services and the police, and NGO workers working on health care or on return. The process started with mistrust, carefulness, indignation and critical questions, and slowly realisation and willingness crept in that one could work together to shape the plan. It was realised that dialogue works better than attacking and defending, better than sharing standpoints and immediately reacting to them. And that building something together is different than convincing others and being right. The methods we used were based on Future Search. 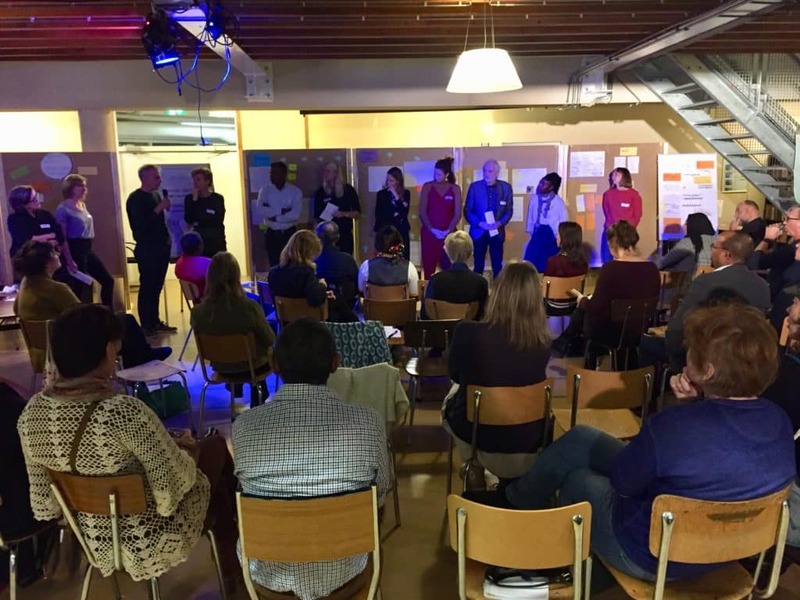 The facilitators were Elien Rogaar and Anne van Marwijk.